The gut-wrenching Descent saga continues with more pulse-pounding action than ever before. Dive into massive subterranean strongholds and experience a whole new degree of freedom, as you careen through canyons and craters on the surface above... powered by the all-new Fusion™ engine. Test your piloting skills against an army of battle-drones and assault-bots using an extensive arsenal of tactics and heavy firepower. 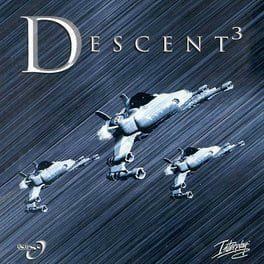 Descent 3 is available from 9.99 to 9.99 from 1 shops.